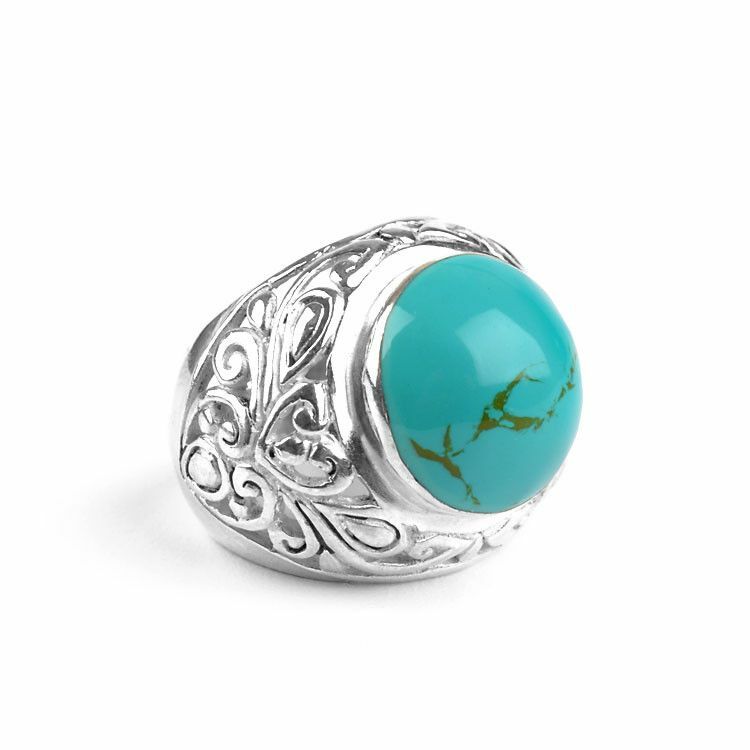 This grandiose ring features a genuine round turquoise stone that is 11/16" in diameter (nearly 3/4" inch) surrounded by a swirly filigree of sterling .925 silver. 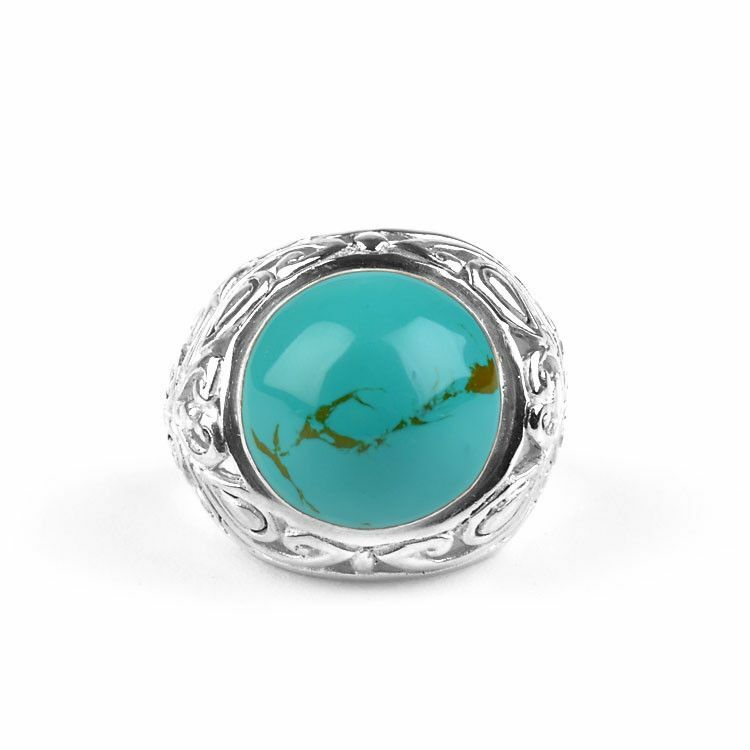 This spherical ring is great for men or women who love large, bold jewelry. 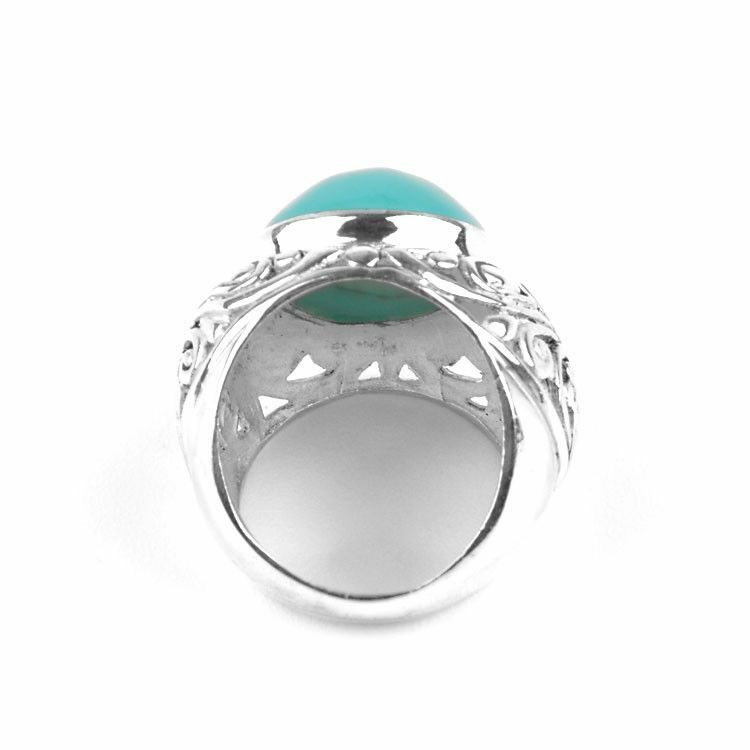 This particular ring sits a total of 1/2" off the finger.